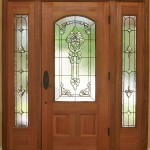 Sidelight windows are extremely popular for Houston homes. 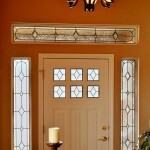 If you’ve got sidelights next to your entryway door, however, you’ve probably noticed that visitors can see straight into your home through these windows, making privacy a big concern here. 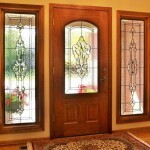 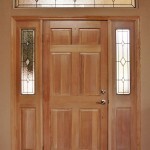 Stained glass windows are the perfect solution for your entryway! 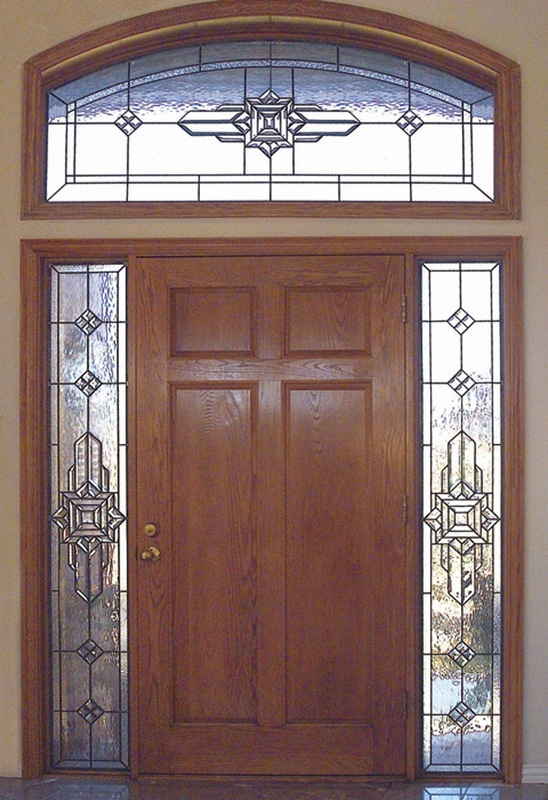 Don’t settle for big-box mass-produced stained glass designs- instead work with a company that can provide you with exactly the windows you’ve been looking for! 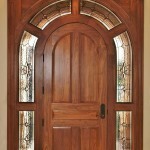 Sidelights are common in homes today because they add interest and character to an entryway, and many Houston homeowners have these long, thin windows next to their front door. 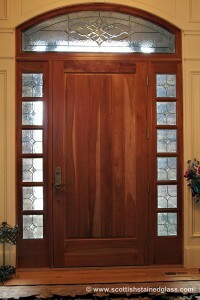 The natural light here is great, so the conflict many are faced with is whether or not to cover these windows and block out the natural light, or sacrifice privacy in this area. 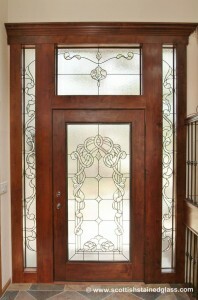 A custom leaded glass window, however, allows you to get the best of both worlds without making any sacrifices. 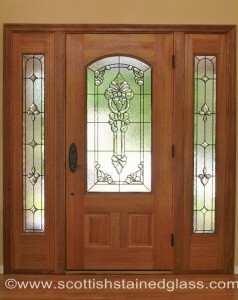 Our windows can provide the privacy you need, while still letting natural light shine through your windows. 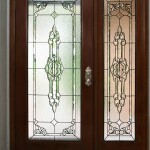 We offer a vast selection of glass types that range across the board in terms of privacy, and you can mix and match to find the best combination for your needs. 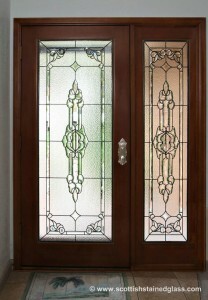 Our process begins with an in-home consultation with one of our talented designers. 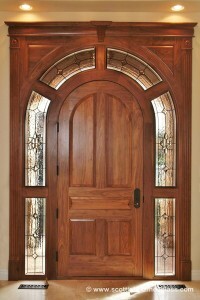 Your designer will walk you through the process towards finding a look that you really love in your home. 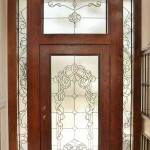 Since everything we create is custom, you’ll be able to tweak designs until they match your style and budget perfectly! 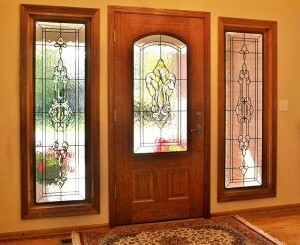 We always bring tons of great photos and glass samples to homes for consultations to help you make a decision that you love. 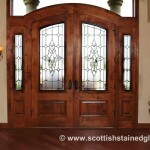 In the meantime, we recommend that you browse through the photos we have on this website to get a better idea of what looks you prefer, and our designers can start from there for your sidelights. 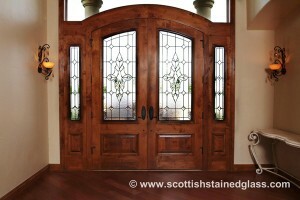 Houston Stained Glass is a part of the largest stained glass studio in the country, and we always create authentic, high-quality windows for each client that will last for years to come. 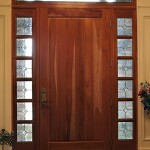 We offer several installation methods to meet your unique needs, and your designer can recommend the best option for your home. 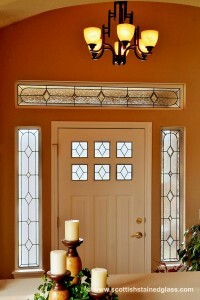 If you have any questions about the process for ordering stained glass sidelights, feel free to contact us today. 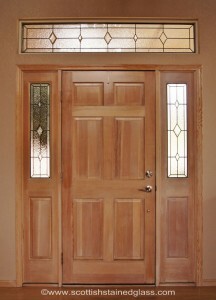 Our experts are always happy to answer any preliminary questions that you have, and we are ready to schedule your consultation to get started right away!